Since 2015 the Swiss FinTech Awards promote regional development while helping create the strongest possible Swiss FinTech ecosystem underpinned by international network links. This network, made up of selected partner organisations and fintech experts, awards Swiss fintech start-ups and influencers for the fourth time in 2019 in the «Early Stage Start-up of the Year», «Growth Stage Start-up of the Year» and «Fintech Influencer of the Year» categories. The «Early Stage Start-up of the Year» category consists of Swiss-based fintech start-ups set up less than two years ago or funded with less than CHF 2.5 million. This year Apiax wins the category «Early Stage Start-up of the Year». Start-ups exceeding these limits at the point of application are judged in the «Growth Stage Start-up of the Year» category. Crypto Finance is the winner of 2019 in the category «Growth Stage Start-up of the Year». The «Fintech Influencer of the Year» category was created for individuals or organisations who have positively shaped or influenced the Swiss Fintech scene. 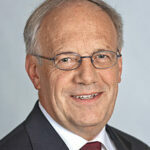 Former Federal Councillor Johann Schneider-Ammann is named «Fintech Influencer of the Year» in 2019 due to his support of fintech during his time as Federal Councillor. All startups were subject to a multi-tiered application process whereas the winner of the Influencer category was nominated directly by the jury. The Finanz und Wirtschaft Forum acts as organiser of the Swiss FinTech Awards and their ecosystem which consists of knowledge partner Accenture, a jury of 20 designated fintech experts and several banks who provide the CHF 18,000 prize money and support the event. Further partners are drawn from the worlds of industry associations, media and academia. The Swiss FinTech Awards Night, when the winners were announced, took place on 14.03.2019 following an extensive selection process. 70 start-up applications were accepted to the awards program, the ten best-rated fintech companies reached the Top 10 round. All ten companies passed through the FinTech Boot Camp organised by Knowledge Partner Accenture and given the opportunity to make a presentation to the assembled jury members and sponsor banks as part of a “speed dating session”. The four finalists were chosen based on assessments of their initial online applications and their performance at the “speed dating session” and ultimately selected within their respective categories. Below is a list of the top ten, top four and the eventual winners of the 2019 Swiss FinTech Awards together with short video portraits of the start-ups. The post The Swiss Fintech Awards 2019 Goes To …. appeared first on Fintech Schweiz Digital Finance News - FintechNewsCH.